No standard attachment, this is a highly durable, heavily constructed bucket with a ‘thumb’ fitted for extra functionality. 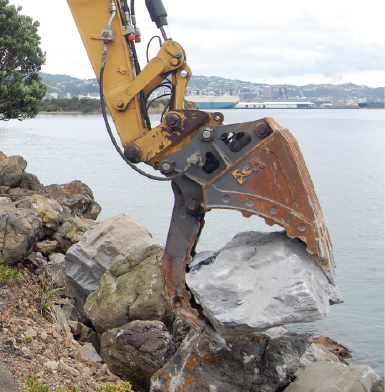 It is an extremely advanced concept, well ahead of any other product on the market, as it allows for the operator to pick up items and still move within the full crowding area of the excavator. Includes removable teeth making it easy to replace main wear parts. 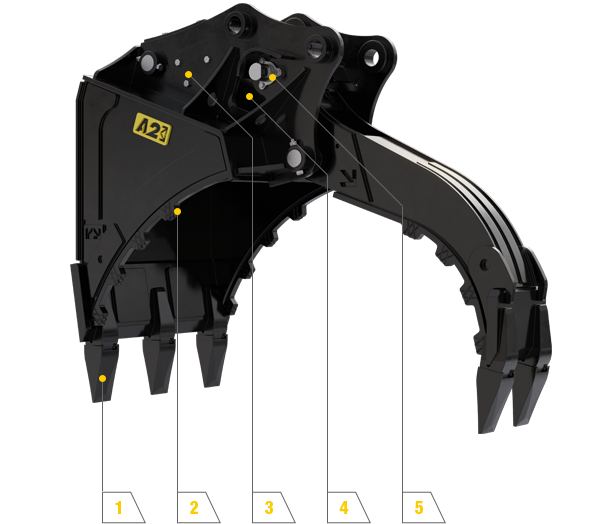 These grabs are fitted with extra large high-capacity rams, ensuring the best grabbing capabilities and nothing can be dropped. All hydraulic components are of high quality to ensure parts last and can withstand the pressures of high loads, reducing the risk of damage or failure. 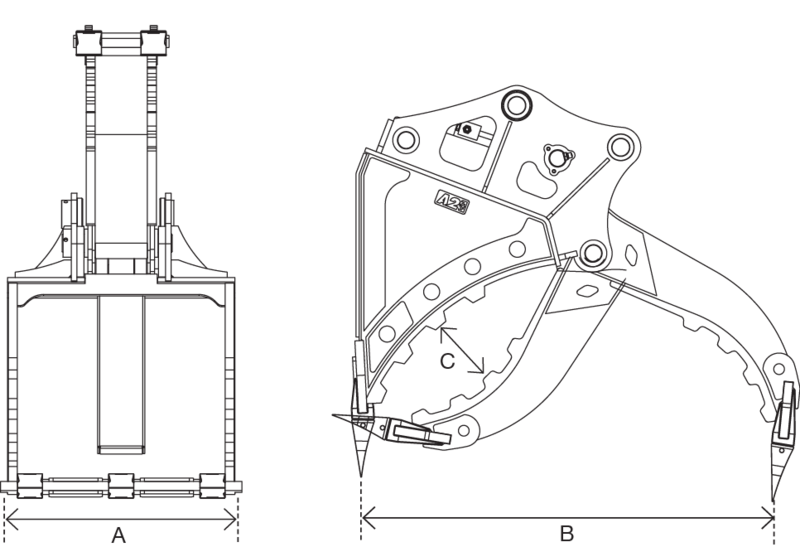 hoses are available for connecting the attachments to the extra auxiliries on the dipper arm. These grabs are the world’s first of such type of grab, having already improved many companies, efficiency all over the world. Having a very large jaw opening means these grabs have the capacity to pick up very large objects. 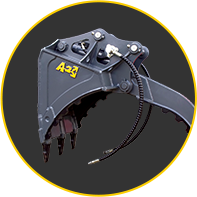 These grabs come in a large range of sizes suitable to fit excavators ranging from 2 tons up to 50 tons. As an individual attachment that isn't not connected to the arm, you have movement within the full crowding area, allowing you to pick up any object at any angle and crowd without losing grip. Our warranty covers the whole attachment and componentry. Durable and built to high specifications, should an issue arise we'll fix it. Not the right grab for your needs?